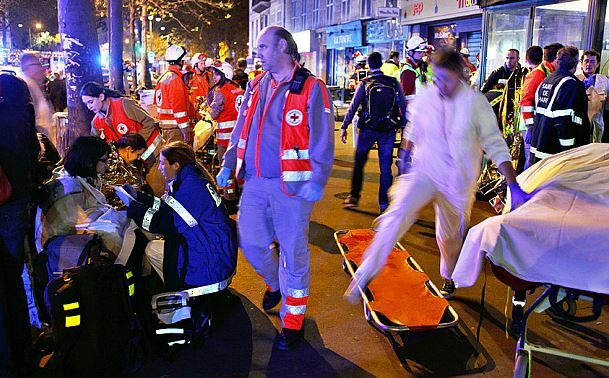 By now, many of us have heard about the terrorist attacks in multiple locations in Paris, France. With all the bloodshed and bombings, there is fear throughout not only the country of Europe, but also the world. However, many have come together all over the world to mourn, spread the news, and most importantly take action to restore peace to the world. Now what will come in the future is yet to be seen, but we can look at one thing. We may not think of it today, but the role of technology has actually played a big role in times of crisis. In the 1989 film, Back to the Future 2, Marty McFly took his first glimpse in the distant future of 2015. With hover boards and flying cars and big TV screens the future never looked brighter. As views we are expected to notice how large a role technology plays in our lives and how much it will grow. Yet now that its 2015 we already see Google’s new self driving cars, hover boards tested by Lexus, and the accelerated growth of the internet. With all these new and fast changes in our lives, how exactly is technology affecting us?